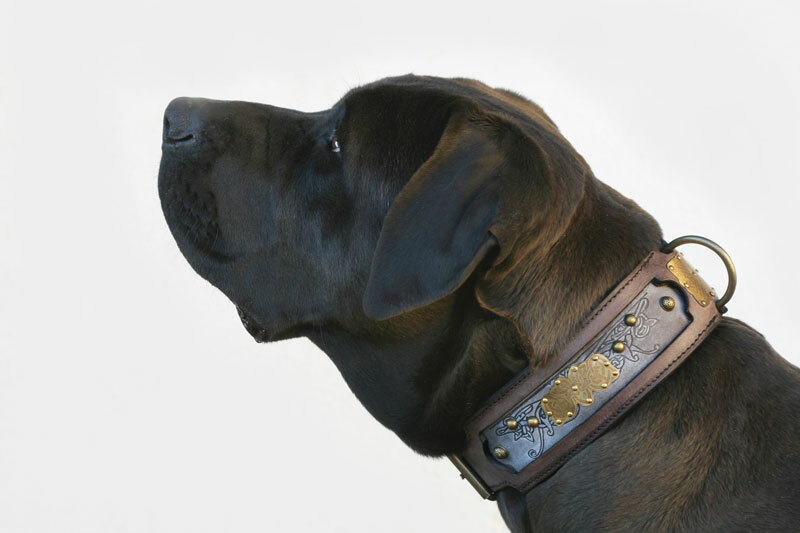 Kairos dog collar is specially designed for medium sized dogs such as Labrador retriever, English bulldog, American bulldog, Bloodhound, Weimaraner, Shar Pei. 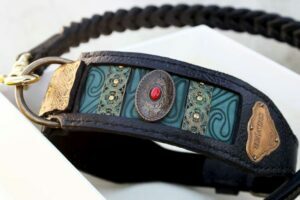 Should you need any further information on this collar or if in a doubt which collar would suit your pet the best don’t hesitate to contact us. 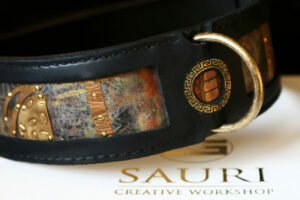 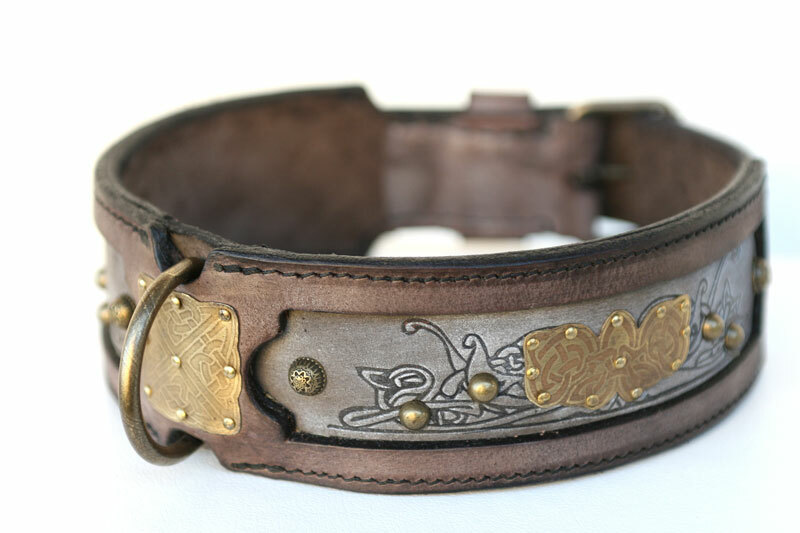 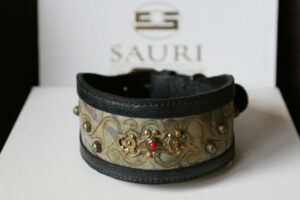 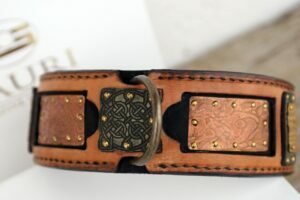 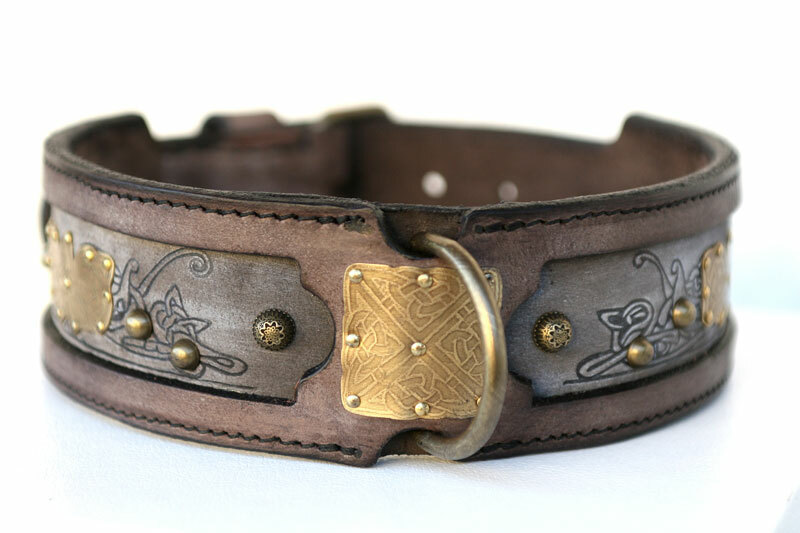 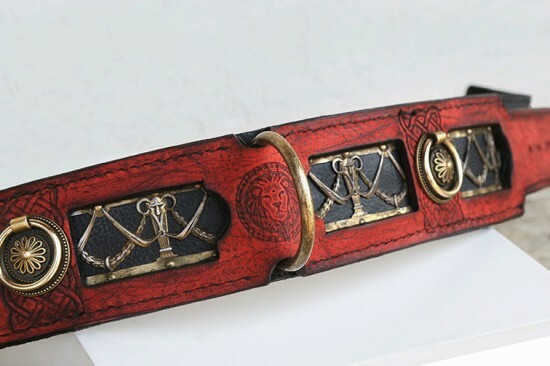 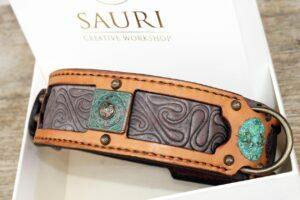 SKU: UC025 Category: Leather Dog Collars Tags: Dog walking, Embossed leather, Large dog breeds, Medium sized dogs, Ornamented, Uniquely designed Brand: Workshop Sauri | Leather dog collars. 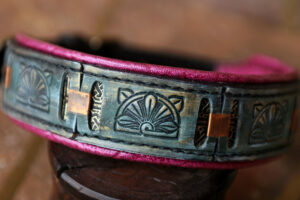 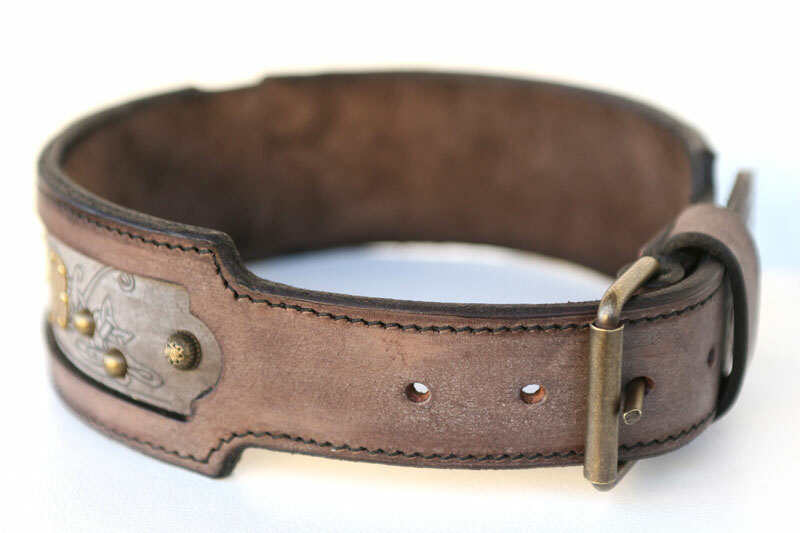 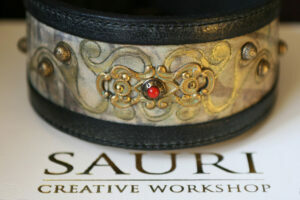 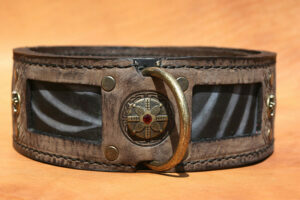 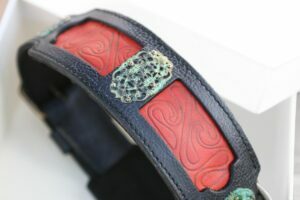 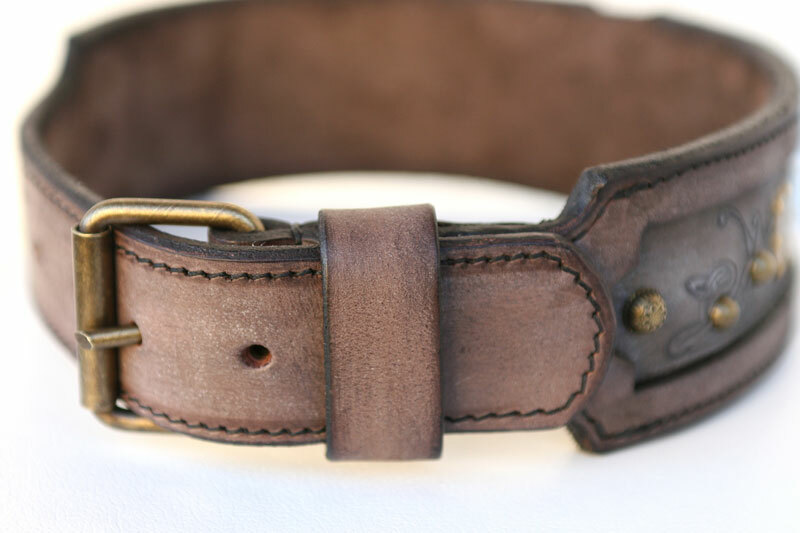 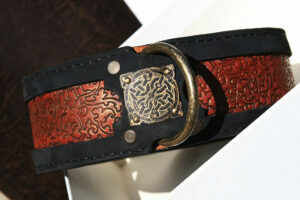 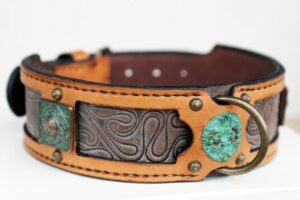 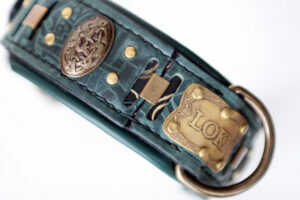 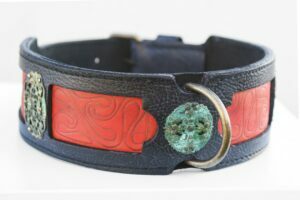 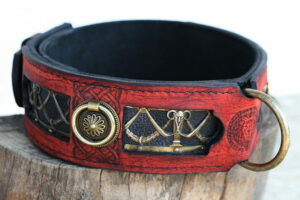 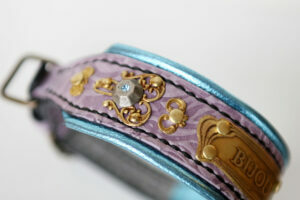 Kairos Dog Collar is masterly handcrafted collar of a very special color. 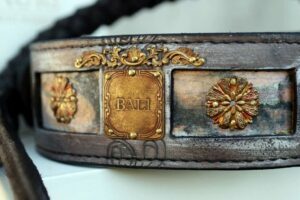 The overlying leather is purplish brown with a central brass ornament. 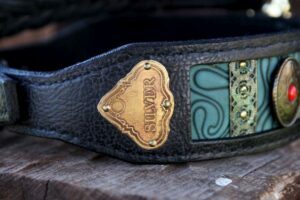 The underlying leather is beautifully embossed and embroidered with miniature rivets and two engraved brass plates. 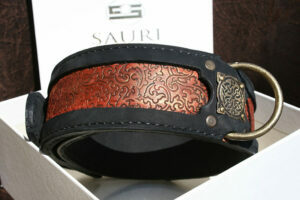 Kairos dog collar is made of highly durable harness leather, resistant to cracking and stretching. 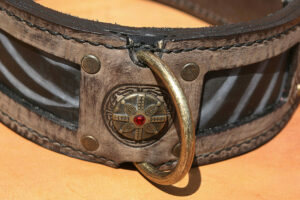 Where the largest exposure to pressure (buckle, D-ring) – the collar is additionally strengthened. 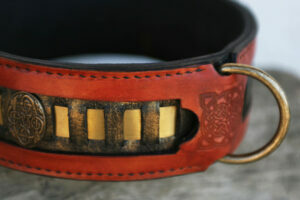 Not only does the collar look great, it is robust and gains with usage. 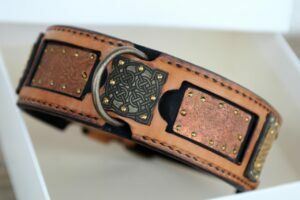 Kairos dog collar is specially designed for medium sized dogs such as Labrador retriever, English bulldog, American bulldog, Bloodhound, Weimeraner, Shar Pei. 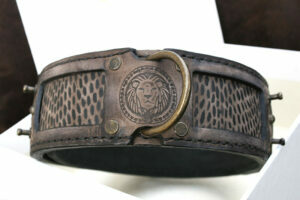 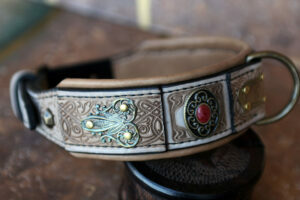 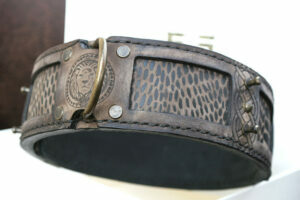 If ordered in larger size this dog collar is a perfect design for dogs with a dewlap i.e. 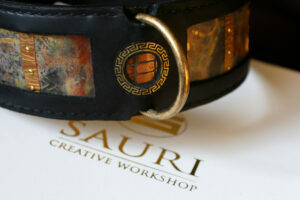 Fila Brasileiro, French Mastiff.